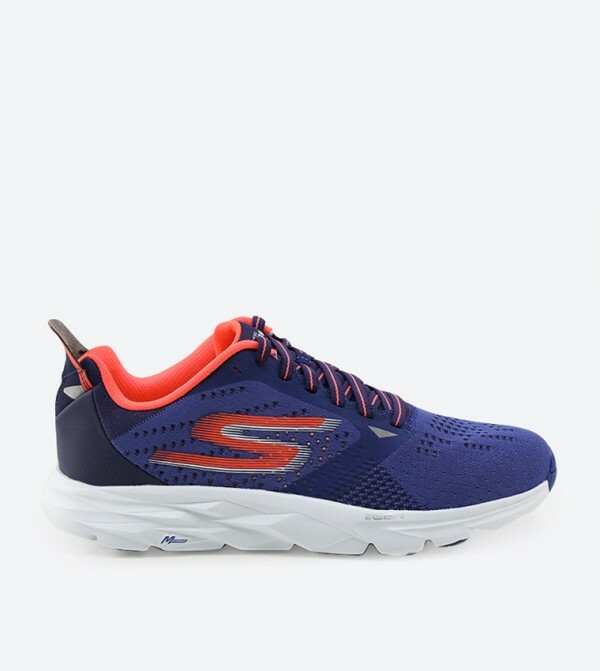 Blue in colour, these trainers by Skechers will lend a refined finish to your off-duty look. Displaying a low-ankle design for mobility, these lace-ups for men feature mesh upper with synthetic overlays for breathability and stability. The rubber outsole further assures slip resistance and outstanding durability.